As your Raleigh SEO company we can help you improve your brand’s visibility with search engines and grow your business. What’s SEO? Moz has a great explanation here, but it comes down to optimizing things both on your website and out around the web to better illustrate the relationship between your goods and services and the things users are searching for. The real key to good SEO is to start with high-quality, relevant content that’s intended to provide helpful information for normal people, as well as demonstrating thought-leadership and innovation in your industry. Content marketing and brand optimization is one of the most important things you can do for your business. Our Raleigh SEO services answer the question of what an authority business in your particular industry actually looks like in the eyes of a search engine. Search engines like Google employ machine learning and make use of algorithms like Naïve Bayes or the Random Forest decision tree in order to build information about real world connections and understand the relationship between collected data and things in the real world. Content is often written with the assumption that the reader knows something about the entity behind the content, but this is very often not the case. Also consider that a business may have multiple websites or social profiles. In the eyes of Google, if the relationships between different online documents, websites, and social properties are ambiguous, this may negatively impact website rankings. 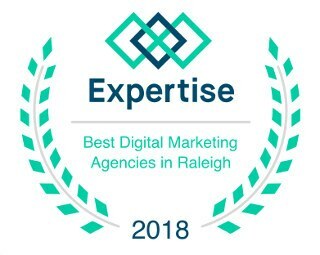 Through our entity salience process we seek to help search engines achieve a clearer understanding of the distinct entity that is your Raleigh business. Your website itself needs to be correctly optimized for good search engine results. This includes addressing items such as Page Speed, responsive web design, website architecture, usability score, minification of JS and CSS, image filenames and alt attributes, schema, caching, Content Delivery Networks, and much more. A common mistake, though, is to over-optimize your website and end up with an algorithmic penalty. Additionally, no amount of off-page work can make up for a badly optimized website, and your website may need to be restructured. For that reason it’s important to complete on-page SEO before any other steps. As your Raleigh SEO experts we can help you put these components together the right way. Some of the off-page factors we’ll examine include social activity, backlinks, link diversity, anchor text ratios, the quality of associated content, and the big picture of what your brand, salient entity, and website should look like in the eyes of Google if you want to achieve a high rank. Quality links to your website do help paint a picture of authority and relevance. Ideal backlinks would come from a variety of other trusted industry authorities, have unique quality content, and be of various link types. A common misconception, though, is that SEO just about getting backlinks. This way of thinking often leads to algorithmic penalties for low quality links that hurt your website and must be mitigated before any progress can be made. SEO is now about more than just your website – it starts with a question that may appear a bit philosophical: What does an established business actually look like in the eyes of Google? If you want to be seen as a quality, reputable business online, then the way to accomplish this is surprisingly simple: be one. If you want to build muscle, you do what body-builders do. If you want to run a marathon, you train how marathon runners train. If you want to be recognized as a strong online brand, then you need to be one. Successful Raleigh SEO services are increasingly going to require a much more comprehensive approach to looking not just at your website, but at your brand as a whole, and helping you develop your online brand in the right ways that give you the “street cred” that lets Google know that you’re the real deal while illustrating both topical and geographic relevance. One thing that’s often misunderstood is that for good long-term results for your business, you must focus on working with Google by illustrating how your products or services are related to the user intent behind different types of searches. As your Raleigh SEO company, that’s at the heart of everything we do. Google has gotten incredibly good at identifying people trying to game the system and looks at over 200 factors when deciding how to rank websites for a given search term. The first thing to know about SEO is that if you don’t want it come back to bite you, you need to view it as a deliberate but legitimate way to earn credibility with search engines. 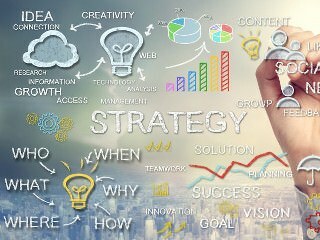 This approach is called “white hat” SEO and focuses on growing your online brand through legitimate techniques based on giving both customers and search engines alike what they want. Content marketing can mean different things to different people. A success factor in SEO is making sure that you have high-quality, relevant content. Good content is much easier to get ranked highly in search engines than poor content. Your website should contain information that is interesting to users, helps them solve problems, and that contributes something new. Within the context of SEO, it’s important that your content be constructed to demonstrate clear relevance to the search term through the use of proper titles, H1 and other header tags, metadata presented in either JSON-LD or microdata format, and the use of document properties. Long form text content has been shown to have a high degree of correlation with top rankings across all types of searches, but the degree to which this applies to local service businesses has not been clearly established. The importance of a mobile-friendly website is now greater than ever since Google has announced that it is now using its mobile website index as the primary index, and the older desktop index will be refreshed less often. This has huge implications for any business that has been waiting to update its website! Mobile-optimized websites have become critical for any sort of local service provider since the majority of such searches are now made on smartphones, and such potential customers favor websites that are mobile-friendly. While there are ways to implement a separate mobile page that is different from, but exists sort of side-by-side with your older website, such as m.website.com, Google prefers mobile-responsive sites, so this is the direction any small business should take if they are concerned about their organic search rankings. For best results, ensure that your website make it easy for users to perform social sharing of your website pages, since social sharing is seen as a sign of good quality relevant content. Create social accounts on major platforms and use them to engage with users. The right types of social activity can boost your website ratings, but some things may not help as much as you might think. You need the right types of social activity to realize gains with your website’s organic search ranking. We connect the dots so that Raleigh customers naturally find your business when performing online searches. Local SEO has special requirements such as the optimization of your Google Business listing and map, locally relevant citations, proper schema, NAP data error correction with data aggregators, geo-tagging, your website structure, online reputation and reviews, and other factors that affect how you appear in local search results. Consult your attorney and work with your CPA to decide what type of business entity (LLC, S-Corp, Incorporation, 503 etc.) is most appropriate for you and ensure you understand any and all legal, tax, and reporting considerations. Before creating your business, consult an SEO expert in regard to the naming of your business because your business name may affect the ranking potential of your website. Have your attorney or CPA do any required research and file the paperwork to create your business, or file it yourself, which may involve registration of your business with the NC SOS, Wake County, your particular city or town. Consider what you want to do about your Registered Agent, and be sure you understand your tax obligations at the Federal, State, County, and City level. There is a lot you can potentially do wrong so I strongly recommend getting professional help with creating your business. Obtain any proper business insurance and any required licenses, which may vary by municipality, prior to conducting business. Once you have your business name, purchase your domain name (with a Raleigh SEO company assistance) and create your website. SEO plays a critical role in the future of your website. If you do things wrong to start with, it will more difficult and more costly to rank later, so you want to get this right to start with. Start building your website’s credibility in search engines so you will actually show up when people search for a business of your particular type. This is what SEO accomplishes. DISCLAIMER: Nothing in this website should be construed as legal advice. Consult your attorney. Click to learn more about our SEO company and services and find out how we can help your business thrive in today’s online environment.